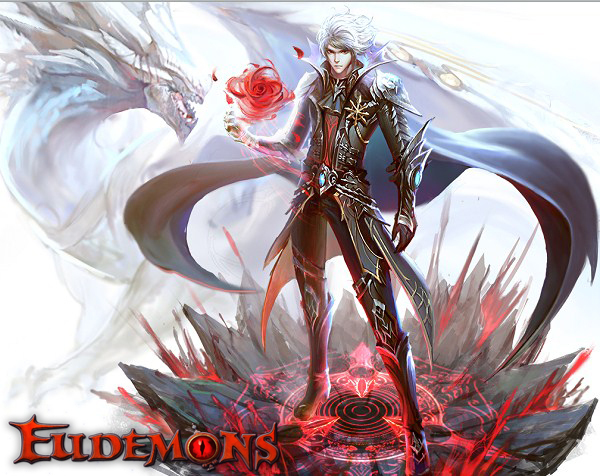 MMO MMORPG News·Articles·Eudemons: Demon Bosses Rising! As December is drawing ever closer, EO’s epic expansion, Demon Rising, is coming more and more into focus. When the prospective quests reach the final stage, the demonic invasion will break out in full force! A gigantic war between good and evil is at our doorstep! Unlike any of the previous expansions or quests you’ve come across in EO, this time, it requires more than just a high BP, but also depends on good teamwork and strategic cooperation to ensure you and your friends survive the unexpected traps and deadly battles you’ll face before you move on to the next exciting challenge. And now, let’s first meet the 5 main Bosses you will be confronting in the new expansion. 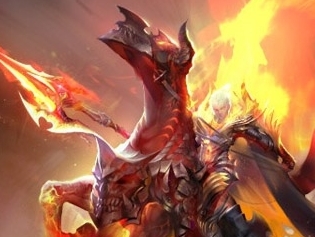 The Defiler used to be a leader of the knight of Cronus before his descent into the Abyss. His name is lost to history. The temptation and fall of the Defiler is considered to one of the greatest successes of the Demon Race. The demonic Defiler and his follower knights are the protectors of the key to Caria Fortress. They will protect this key with their tainted souls, forever. Hive Queen Deborah has occupied the Frozen Burrow where she makes it the hatchery for her offspring. The bugs in the Frozen Burrow live on human flesh and blood. The human skeletons and relics in the Frozen Burrow tell it all. She has no regard for human life, caring only for the well being of her demonic progeny. The most outstanding Swordsman on this continent, Raphael was known for his invincibility and his chivalry on and off the field of battle. After his death, strange signs began appearing around this tomb. The Archmage divined that demonic forces had somehow taken control of Raphael’s soul. He is only a puppet to his demonic masters now. May he finally find peace, even if is at the end of a sword. Tacoma, the most sagacious wolf king ever to hold the throne, has been reigning over Duskwolf Cliff for hundreds of years before falling under the sway of the Dark Mage-Lord of the demons. The Dark Mage-Lord’s curse made him a totally cunning wild animal while giving him an undead body as well as various magical abilities. The legendary Lunar Rune is also in the grasp of the bewitched wolf King. Toughness, iron will and his firm faith in the Gods forged Alamut into an honorable Knight Templar. But pride, injustice, and the corruption he saw all around him made him lose his faith in humanity. Alamut turned from the Gods and devoted himself to the Demon cause, vowing to build a new order from the ashes of the old. He dwells deep within Caria Fortress, plotting vengeance against the world that has forsaken him. Now you must be very curious what exactly the new expansion will come up with next? And what can these demons do? Which of these bosses do you think is the strongest one? Come and join in the hot discussion! Share your brilliant thoughts with the whole community! There are a lot more exciting things yet to be revealed! More will be coming soon! Stay tuned!